‘A trip to Italy: movie times’ column starts this week winking at Italy and cinema’s lovers talking about a movie that we particularly love: Nuovo Cinema Paradiso, directed by Giuseppe Tornatore, awarded as the Best Foreign Language Film 1990. Music composed by Ennio Morricone. 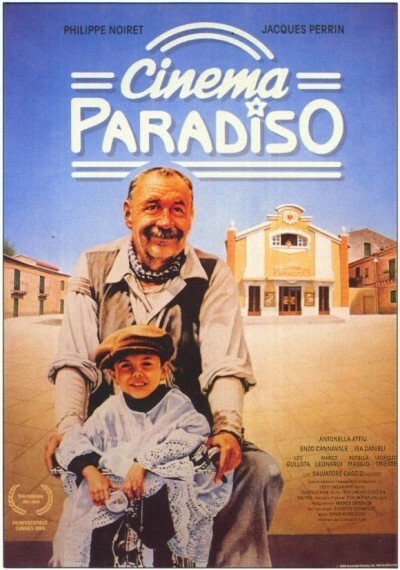 Nuovo Cinema Paradiso is definitely one of those movies to watch at least once in a life. It tells the story of Salvatore de Vita (Salvatore Cascio), a fatherless child who also lost his friendship with Alfredo (Philippe Noiret), the old projectionist in the only cinema of the village. Alfredo will be a crucial person in the growth of Salvatore destined to become a movie director. The movie also tells about the history of Sicily with its war widows, its migrants and the pastor who is always banning kisses in movies, in a few words: ‘the history of Italian cinema’. People filling cinema halls, the wealthiest man of the village sitting side by side with the poor farmer, who could both watch the film even ten or twenty times. The story tells about Italy loosing interest into the “cinematografo” with the arrival of television, the final scene is emblematic in this sense: the village cinema has been destroyed to build a parking lot. A film that we warmly recommend to all fans of Italy and cinema. Questa settimana abbiamo deciso di rivolgerci agli appassionati di Italia e di cinema parlando di un film che amiamo particolarmente: Nuovo Cinema Paradiso, regia di Giuseppe Tornatore, vincitore dell’Oscar come Miglior Film Straniero nel 1990. Musiche composte da Ennio Morricone. Nuovo Cinema Paradiso è sicuramente uno di quei film da guardare almeno una volta nella vita. Narra la storia di Salvatore de Vita, un bambino rimasto orfano di padre e della sua amicizia con Alfredo, il vecchio addetto alle pellicole nel cinema del paesino, che sarà fondamentale nella crescita di Salvatore destinato a diventare un regista affermato. Ma la pellicola racconta anche la storia della Sicilia, con le sue vedove di guerra, gli emigranti, il parroco che censura i baci nei film, è un po’ la storia del cinema italiano. E la gente che riempiva le sale, dove c’erano il ricco proprietario e il povero contadino che guardavano il film dieci, venti volte. Il racconto di un’Italia che con l’avvento della televisione ha perso interesse per il ‘cinematografo’, emblematica la scena finale in cui verrà distrutto per costruirci un parcheggio. Un film che consigliamo a tutti gli appassionati di Italia e di cinema. Sunflower Florence is the place for Italian Language Classes in Florence for Kids and Moms! We are a school that teaches to all ages and levels of Italian knowledge—but our specialty is with children! We offer specialised Italian language courses entirely dedicated to children from the age of 5. This program called “La Babele dei Bambini” aims at preparing expat children to their academic (and not only!) inclusion in a foreign country. Being accepted in a new group, both at school and in any other social contexts, represents a fundamental landmark in the life of all children. Through a communicative and playful approach our objective is giving them the chance to communicate with their peers and get to know their “new world” soon, thus responding to an immediate and practical need. Co-founder Anna has a long experience teaching and encouraging children and our organisation has been assigned a Recognition of Quality by Kid Pass. 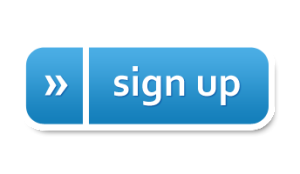 Choose from a multitude of class types, including individual lessons (from €30/hour) to make-your-own Group classes (€50/hour, up to 4 people)—so you can learn Italian with your child, or even have them learn with their friends (at €50/hour for a group of 4, that’s only €12.50 per hour per child)! The 14th Edition of the Italian language in the world week! We are right in the middle of the 14th Edition of the Italian language in the world week (20-25 October 2014)! Lots of events, conferences, seminars taking place worldwide on the theme ‘Writing the New Europe: Italian Publishing, Authors and Readers in the Digital Era’!